We’re always happy to add new properties to our growing selection of Fine Ljubljana Apartments and vacation rentals in the region. If you own an apartment, family house, vacation villa or holiday home and are thinking about renting it, we just might be the right partner for you. Fine Ljubljana Apartments (FLA) is one of the leaders in the Ljubljana short-term rental market with hundreds of booking requests per year. Your property will be in good hands under our management and marketing. Property owners that we work with love the fact that we take care of everything. From advising on design improvements, promoting the property online and offline, securing bookings, organizing arrivals, catering for the needs of guests and tenants, to different financial, technical, and logistical tasks. You don’t have to do a thing. Some of our partners don’t even live in Slovenia. We completely manage their properties for them. Many owners are excited about offering their property short-term because of high returns promised by the travel industry. But they aren’t so keen on the idea of having to adapt their schedule to guest arrivals, cleaning the apartment after they leave and handling repairs and property maintenance. Which is exactly where we can lend a hand as a partner. We can take on partial or full responsibility for managing a short-term rental property. Our number one goal is to maximize financial returns for the property owners. We do this by utilizing three strategies: maximizing occupancy, maximizing rates and minimizing costs (while offering exceptionally high value for our guests, of course). But bigger income and potentially higher resale value are not the only reasons many owners prefer to rent their property short-term. 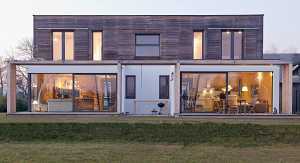 They also love the flexibility of enjoying their property for themselves and their friends from time to time. And last but not least, there’s something exciting about it. Maybe you’ve been playing with the idea of investing in real estate. Or maybe you already own a rental property but would like to add another one or trade it for a different property because you think it should be bringing you a better return. So you’re wondering, “Is the time right for investing in property? Are short term rentals a lucrative and safe investment?” I’d answer with “Yes” and “It depends”. If you’re thinking about investing in property with a goal of renting it short-term (or mid-term to long term), feel free to get in touch. Location, property condition, purchase price, and occupancy rates are just some of the major concerns of a venture like this. There are also legal and tax issues that need to be addressed before making a decision. Often the market decides for us. If your own an apartment in or around Ljubljana’s Old Town Ljubljana, your best strategy would probably be short term rentals. The same is true if you own a holiday home or villa in or near a popular vacation resort. 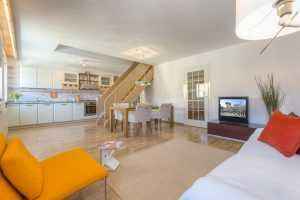 You can expect a better return offering such properties to travelers and holidaymakers. 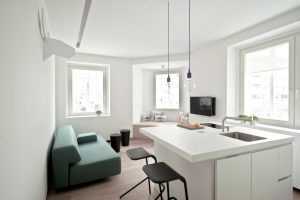 If, on the other hand, you own a nice, spacious apartment but it isn’t within a walking distance to Ljubljana Old Town, or if you own a beautiful and modern family home but it’s located in Ljubljana’s suburbs, there might not be enough demand from travelers and tourists for such properties. However, there might be demand from corporate and diplomatic individuals and families that need mid-term to long-term accommodations in Ljubljana (3 months to 36 months). Of course, we would need to know more details and, ideally, visit the property before we could give any final recommendations and advise. Please contact us for more information. Again, there are other issues that can influence the decision of whether it’s best to rent short-term or long-term. Do you qualify to be included in FLA? You do if you own a recently renovated (or new), well kept and elegantly furnished property. Or if you are prepared to turn it into one. Location is important but as mentioned earlier there are customers and clients with different needs and expectations. Some prefer an apartment in the center of Ljubljana, some a family home with a garden in or near the city, while others wish for a nice vacation villa by the seaside or a holiday home in one of Slovenia’s many ski resorts or spa centers. What’s really important is that there’s something unique and special about your place. Be it the location, the layout, the quality of furnishings, the views… or, ideally, all of these. If your property needs a final touch up or a more complete renovation to be considered a “fine Ljubljana apartment” or “fine Slovenia vacation rental”, we can help. Renovation projects and interior design makeovers are, after all, our core profession. Then we’ll think things through, check our data and in a couple of days we’ll be ready to present to you our recommendations. 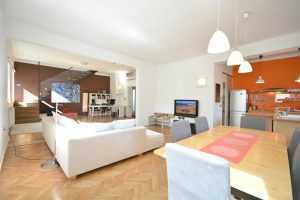 Check out this fine FLA apartment: Rent Your Property – Apartments for Rent in Ljubljana.